Hotel sencillo, pero limpio y centrico con Parkink, aunque es de pago, actualmente remozado la parte de Recepción, Restaurante y comedor de desayunos, trato afable y amable. 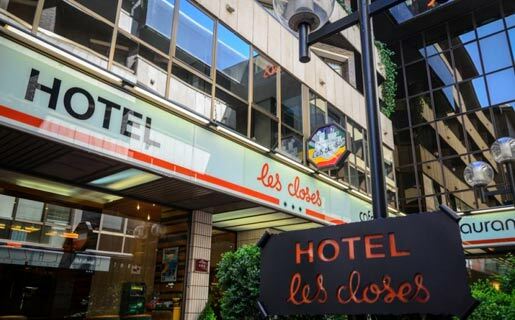 Situated in the heart of Escaldes, just minutes from the renowned shopping district in the centre of Andorra la Vella, this chic and modern hotel provides an excellent base for any trip to Andorra. Many of the city's attractions are within walking distance, including Sant Esteve Church, the town square and Casa de la Vall, and the famous ski resorts of Vallnord and Grandvalira are both within a half-hour drive. The hotel's comfortable guest rooms are simply furnished for a relaxing and unpretentious atmosphere. Each comes with a complete en suite bathroom, air-conditioning and plasma TV. After a busy day of shopping, skiing or exploring the area, guests might choose to dine in one of two onsite restaurants serving wood fired pizza and innovative international cuisines. This hotel's convenient location and contemporary style make it ideal for both business and leisure travel to Andorra. For bookings with kids, supplements may be paid directly at the catering (breakfast, half board or full board). Services: Breakfast buffet, Set menu dinner. Living room, Bathroom, Disability-friendly bathroom (on request), Bathtub, Hairdryer, Internet access, TV, Carpeted floors, Centrally regulated air conditioning, Individually adjustable air conditioning, Central heating, Individually adjustable heating, Safe, Balcony, Wheelchair-accessible (on request).